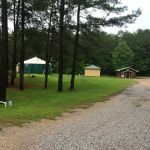 Ask fellow campers about "Pine Hills RV Park" and nearby attractions. Staff at hotel not helpful during check in. Park in bad shape, unlevel lots, pedestals leaning over, poor to no lighting. Copied drivers license and credit card to keep on file in spite of objection. Save yourself some trouble and find another park! We camped at Pine Hills RV Park in a Motorhome. Don"t go here especially if you are over 36ft. and towing. Sites just cut out in some woods on top of a hill above motel and low end apts. Be careful or you will scrape going in and out. If you make a wrong turn going into motel you are in trouble. Had to check in a motel, no office, clerk said to just go to top of hill and turn into park. No assigned spaces, finally had to get out of coach and wander around trees to find the last pull through. No amenities, no nothing, never again. 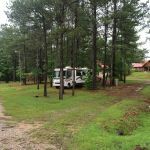 We camped at Pine Hills RV Park in a Motorhome. It is located off US 49 about a mile south of it's intersection with Main Street, behind the Best Western. Check in is at the Best Western and the campground is maybe 1/4 mile up the hill and behind trees. This location makes for very tolerable traffic noise. You can walk down to the Burger King, Huddle Restaurant or a Catfish place. Spacious sites under tall pine trees. We camped at Pine Hills RV Park in a Motorhome. 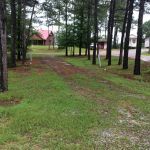 Are you affiliated with Pine Hills RV Park ?